John Keats’ Rome house is located at the Spanish Steps by the Bernini fountain. 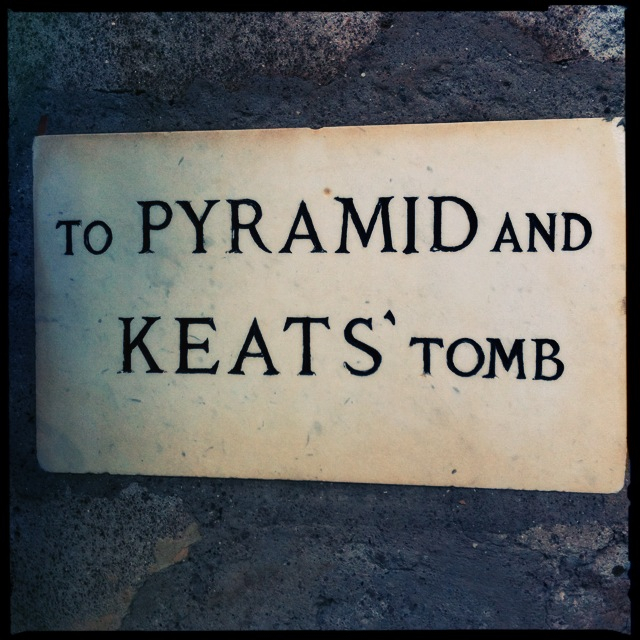 On one visit I placed a white rose I brought for John Keats’ Plaque near his grave on the wall to the left of the garden in the Testaccio neighborhood of Rome in the Non-Catholic Cemetery near the Pyramid of Cestius. We recited his poetry and pet cats who slumber in the gardens nearby. The annual pilgrimage to the Protestant Cemetery never fails to give me chills when I read the epithet Keats intended for himself; Here lies One Whose Name Was Writ In Water. And now these words ache in my own heart for the one companion who always joined me on these sojourns: Rian, now gone into the shadows to blaze his own light in a place or time I cannot see nor touch for I am still rooted to the earth… and the two men who could ensorcell me are now words and memories without touch or sense or feeling. In vast darkness or light, I do not know, but their imprints are still felt in this world of the living. They capture me! 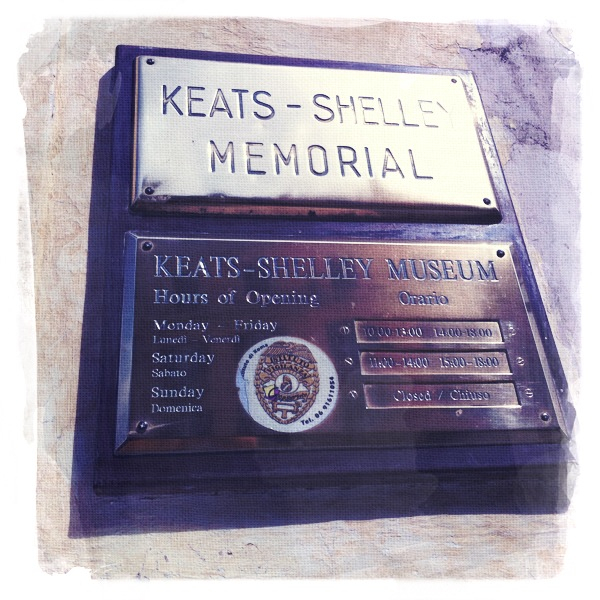 Each time I followed the sign reading KEATS it felt like a mystery unfolding. No matter how many times I retraced my steps to the back garden, to the memory of him, it felt new again, as though taking holy orders in a hushed silence under a canopy of umbrella pines and sky and garden walls, nature’s cathedral summoning pilgrims with the tolling of a bell nearby echoing on the stone of the tombs and graves and statues. Keats silently joined me eventually somewhere on Via delle Magnolie. He slipped out from the shadows and fell into step with me. I felt him quietly by my side for the rest of the night.